Today, Jon Ola Sand (Executive Producer for the Eurovision Song Contest) had a meeting with Israeli Prime Minister, Benjamin Netanyahu, to discuss some details about next year’s contest. 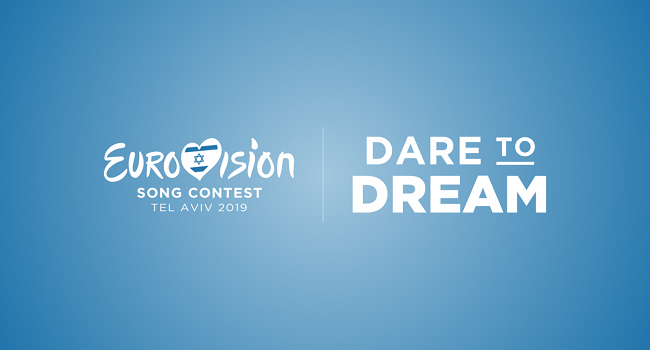 Since 2002 (with the exception of the 2009 edition in Moscow), each contest also had a slogan attached to the branding and after his meeting with Netanyahu, Jon Ola revealed the slogan which will be used for the 2019 edition: ”Dare To Dream”! This aspirational tag line represents and symbolises everything that the Eurovision Song Contest is about. It’s about inclusion. It’s about diversity. It’s about unity. Being on that stage, daring to dream you can win the Eurovision Song Contest, be brave enough, be confident enough, standing there performing for a world audience is something that is worth the dream. This is what Netta did last year, when she performed in Lisbon. She went on that stage with a dream — a dream to bring the Eurovision Song Contest back to Israel. And she succeeded. And next year in May, in Tel Aviv, we will all meet to celebrate the good values of the Eurovision Song Contest and we will do it here, with the help of broadcaster KAN and the Israeli team. But the surprises regarding the branding aren’t finished yet! We’ll have to wait for them a bit but at a later date the customdesigned artwork used for the contest in Tel Aviv will be revealed! What do you think of ”Dare To Dream” as a slogan?